Denmark has a population of around 5.7 million, with an estimated 97% having access to the internet. Over two thirds of these regularly use the internet for shopping, meaning there is a large and dedicated audience ready to purchase your products online. Revenue in the "eCommerce" market amounts to US $5,719m in 2018 (source). Revenue is expected to show an annual growth rate (CAGR 2018-2022) of 7.8% resulting in a market volume of US$7,728m in 2022 (source). e-commerce nation with regular online shopping habits. Two-thirds of Danes shop online each month, with only Norwegians spending more per capita (source). As with the other Nordic nations, clothing and footwear ("fashion") are the most popular categories, whilst electronics and media products are also ranked highly. Denmark has the highest penetration of smartphones in the world - with 77% of the population using a smartphone (source). This is reflected in the e-commerce industry, with one in four online purchases in Denmark made using a cell phone. 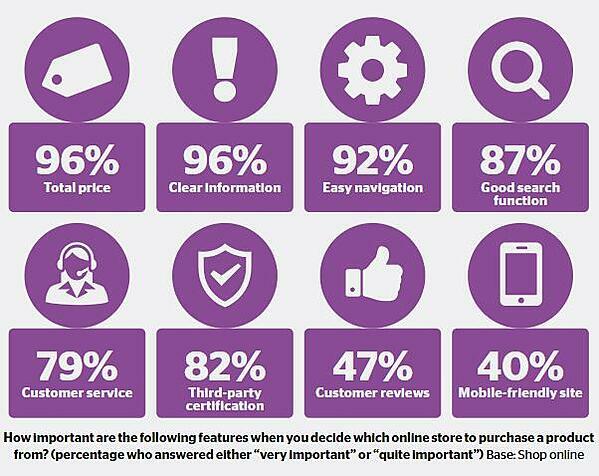 As the graphic below shows (source), consumers consider clarity and navigability of the shopping process to be of paramount importance, but developing attractive and well-designed mobile experiences to attract new customers should also be a priority for attracting a Danish audience. In contrast to Norway, where we saw fairly low expectations when it came to delivery of goods, the Danes have some of the highest demands. One in ten expects to receive their goods on the following business day, and three in ten, after two business days (source). This is perhaps because Denmark is a small and relatively navigable country geographically (in comparison to its mountainous Nordic neighbours!) leading to clear expectations among consumers concerning rapid service. Therefore, a prompt internal service to ensure rapid dispatch of goods and a clear returns policy is vital to impressing a Danish audience and ensuring repeat customers. Carsten Dalbo Pedersen, Head of E-commerce & logistics, Postnord in Denmark (source). Shopping channels in Denmark- which to use? The growth of current shopping trends are forcing merchants to diversify their ecommerce strategy and to explore channels where people are actively searching for a product, wanting to seek the best possible deal through comparison. The channel you select is dependent upon what products you are selling. The list we have compiled offers a shortlist of some options for sellers wishing to break into a Danish market specifically. Coolshop is the first Scandinavian Marketplace stretching into seven countries - Denmark, Norway, Sweden, Finland, Germany, Netherlands and United Kingdom. An online retailer primarily selling video games and consoles at source, Coolshop has begun rapidly expanding its retail categories in recent years - seeking out new opportunities and leading technological development. Their feed requirements include EAN code, brand, Primary Color and Size - click here to find out more. 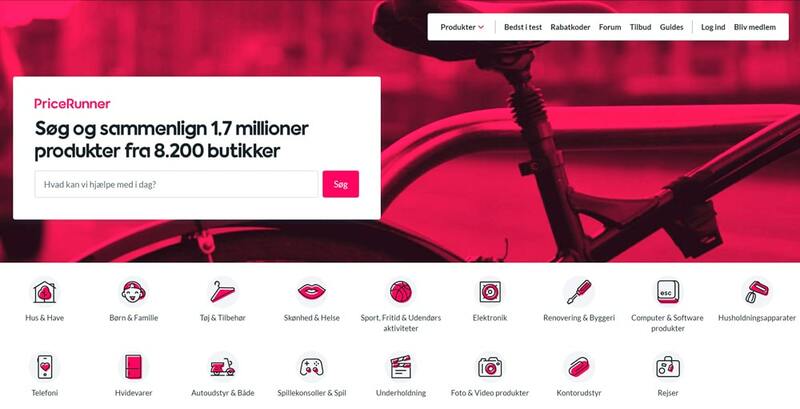 Wupti.com is a Danish online store, with over 10,000 item numbers in the assortment, one of Denmark's largest e-shops for the sale of electronics and white goods. Wupti are known by 90% of Danish shoppers - saving costs for lower prices while continuing to set the benchmark for digital user experiences and customer satisfaction. To connect with them you will need to create an account on Wupti.com. Contact Wupti integration team at marketplace@wupti.com, they can help you with the Wupti.com account set up. In case you need any assistance please contact us - we'll guide you through the entire Wupti integration process. Partner ads is a Danish affiliate network active since 2002. They have over 2000 affiliate partners in their focus markets across Denmark, Sweden and Norway. Merchants can start adversting on Partner ads by uploading their product feeds to Partner-ads in a XML format, you can find out their feed specifications here. 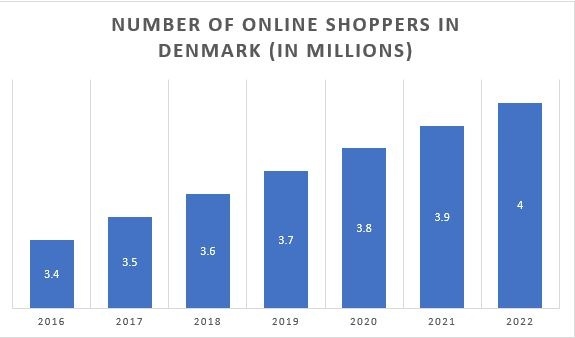 As the statistics mentioned above show us, there is a rapidly growing number of Danish consumers who are shopping online regularly. Take the time to select which channel might be right for you. Check out their product categories to see if they support your products categories and consider carrying out a trial campaign to see if you get results. To find out more about your selling options in Denmark and our Data feed management solutions simply follow the link below.